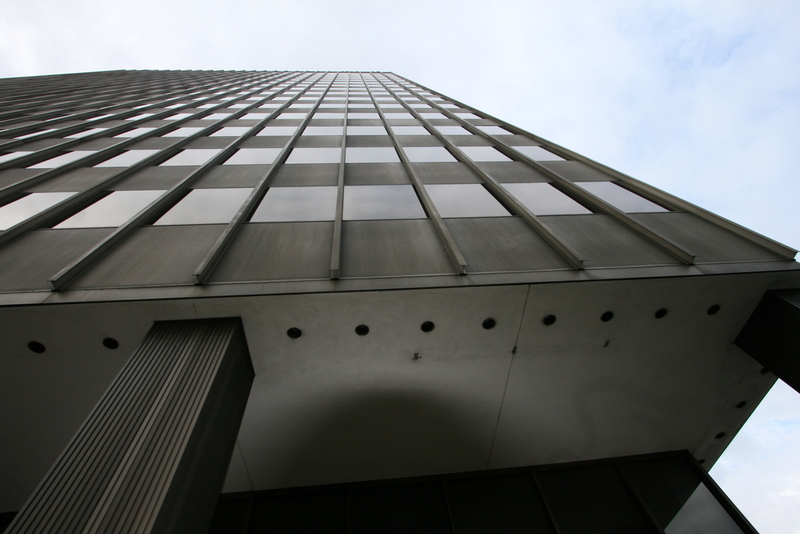 Glass & Concrete Contracting has serviced the BB&T building through the years including an exterior maintenance program, waterproofing, exterior cleaning of anodized aluminum and windows to address the specialized needs of the fluted metal façade. At over 220 ft. tall, The BB&T Building stands as one of the most recognizable buildings on the Asheville skyline. Since it’s opening in 1965, scores of builders and architects have planned skyscrapers that would surpass the BB&T in stature, and in every case Asheville residents have told them no. As history has a tendency of repeating itself, the love of The BB&T Building has ensured that it will remain, at least for the near future, the tallest building in Asheville. 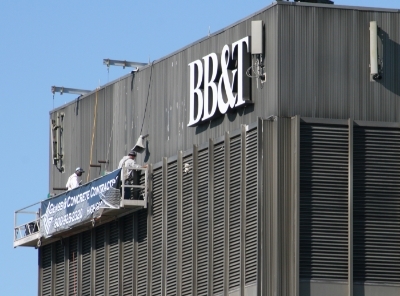 Glass & Concrete Contracting has been working as the exterior maintenance technicians on the BB&T Building for over 10 years. “We have developed a relationship, and that’s often more important than the bottom line.” according to William Wilcox, managing partner of Tower Associates. Work performed through the years has included exterior cleaning of anodized aluminum and windows and customized waterproofing to address the specialized needs of the fluted metal façade.